The chapter of Gamma Omicron has 9 new sisters! They were initiated on November 12th, 2011...Congratulations to all! The Beta Xi Chapter of Theta Phi Alpha as well as Phi Beta Sigma Fraternity, SABLE & Feminist Collective invite all to The Blue Carpet Affair in the William Paterson University Ballrooms B&C on November 16th 8pm-11pm. There will be raffles & DJ Nix will be playing music all night!! There is a $3 suggested donation which will be donated to The Strengthen Our Sisters Domestic Violence Shelter. Please come support this amazing event. Congratulations to the new pledge class of Fall 2011. We have 9 girls who are currently going through the process! These girls are; Anna Mazzarelli Cho Oo Danielle Formica Kali Krageger Kayla Thurston Maria Pietro Seanneff Campbell Stephanie Romanow Weslee Eckler These girls will be the Theta Class of the Gamma Omicron Chapter!! Congratulations Amber Alt, Alpha Xi! Theta Phi Alpha celebrates National Volunteer Week! Beta Alpha Celebrates SOC success! I just wanted to fill you in about the program at Long Beach High School. It was a success! We introduced ourselves first and gave a short background summary about SOC. Afterwards, we showed the dvd. We had previously put together a powerpoint presentation taking information from the SOC/PEP Orientation Manual and the presentation guidelines, which we presented after showing the dvd. Even though we expected 200 students, there were about 60 students present, some of which left early for their second period class before we handed the evaluations out. There were 4 other teachers as well, 3 of which left early as they had a second period class, leaving us with 1 teacher evaluation. We also received a $100 dollar donation from the PTA at Long Beach High School. I will mail the Student & Teacher Evaluations along with the donation check out this week. It was a pleasant first experience and we are excited to do more presentations in the future! On behalf of the Beta Alpha chapter, I would like to thank you and Melissa for giving us this opportunity! Congratulations to Alpha Eta for 4 new pledge sisters! Thank you for visiting the Beta Upsilon website! This new innovative site is going to help us financially, academically, and with recruitment. This site has unlimited possibilites to better our chapter, connect with alumnae, and stay in contact over long breaks! If you have any questions, comments, or concerns you can visit our "New Site" forum, or email me! Check out the Gamma Beta Chapter! Check out the Gamma Beta Chapter. We're featured on Fond du Lac's Solutions Center webpage. Public health officials are worried about the recent influx in the number of bed bug infestations being reported to their agencies. In Ohio, for example, infestations are so widespread that the state's governor appealed to the EPA for help. Bed bugs have made a resurgence because our modern, mobile lifestyles have combined with pesticide-resistant insects to create large infestations in communities across the country. Campus housing creates an especially ideal environment for bed bugs to flourish with the high turnover rate of rooms and furniture from year-to-year. In addition, residents typically are more transient than typical tenants, so they have the potential to frequently infect and reinfect an area that has already been treated. Bed bugs are small insects that feed mainly on human blood. A newly hatched bed bug is semitransparent, light tan in color and about the size of a poppy seed. Adult bed bugs are flat, have rusty-colored oval bodies, and are about the size of an apple seed. The bed bugs typically leave behind blood stains, droppings and eggs in locations where they frequent, such as mattress seams, sheets, pillow cases and upholstered furniture. Bite marks from bed bugs typically appear within a few hours of the bite, usually where skin is exposed during sleep. They can be small bumps or large, itchy welts, depending on your personal reaction to the bite. Once you are aware of the tell-tale signs of the bed bug, be on the lookout for their droppings on your furniture and check your luggage and other personal items when traveling. Inspect your property before giving you a price quote or begin any pesticide application. Give you a written inspection report and an action plan of how to prepare for treatment and prevent further infestation. Base quotes on inspection findings, not flat fees. The cheapest services are rarely the best. Visit often until the job is done. Employ qualified, well-trained pest management officials. Educate you on how to further prevent bed bugs. Work with you until the bed bugs are gone. Use the least toxic pesticide labeled for bed bugs that will be effective. We recommend that you contact your University or state's health department for more information concerning pest management. The University should also have information regarding whether or not they have had any recent infestations. Because of the increase in infestations and heightened awareness about bed bugs in general, it is important that you address any suspected infestation immediately and communicate to your tenants in an appropriate manner. We have found several great resources regarding bed bugs that we recommend you use to educate your members and volunteers about this nasty problem. Bedbug Guide: this resource, developed by the New York City Department of Health, is a wealth of easy-to-read information about bed bugs. 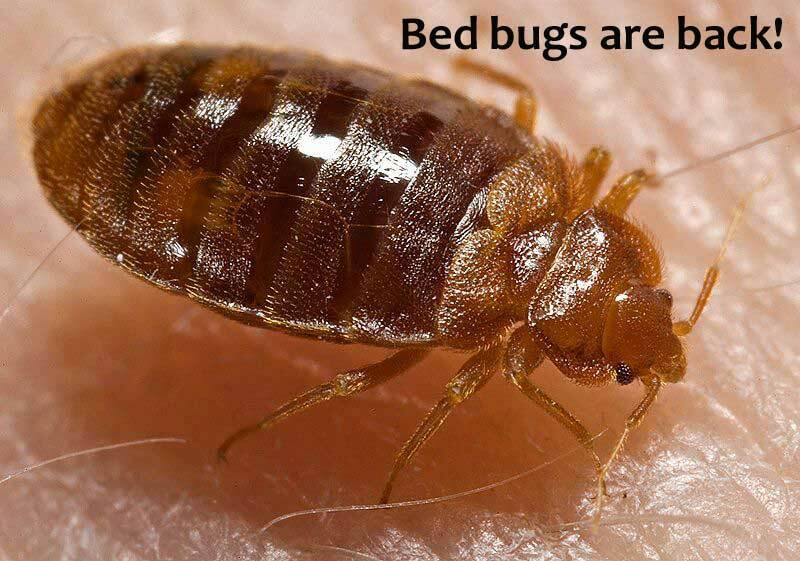 Bedbugs Video: The Washington DC Department of Health created a public service announcement that provides detailed information about bed bug treatment and prevention in a short video format. What You Should Know About Bedbugs: A short handout developed by Stanford University that encourages students and visitors to campus to help in the fight against bedbugs. There are currently open positions on the Board of Directors for Theta Phi Alpha Foundation! Please see the list of open positions and fill out the application if you are interested. All applications must be recieved by September 10. Like cookies? Want to help raise awareness and aid research for breast cancer? Here is your chance to do both! Email your choice to Sierra Zielinski, NCNYAA's Philanthropy Chair, at SierraZie.040@gmail.com and she will provide you with an address to send your check. In the next weeks you will receive a "voucher" card in the mail from the cookie dough company. Go online to enter your voucher #. Your cookie dough will be delivered to your home shortly thereafter! Help us out in our quest to save lives and honor victims and survivors! Hurry now, our fundraiser ends September 21st, 2010. Donations are also welcome. Please contact Sierra Zielinski for more information. Please fill out the Centennial Jewelry survey. Check out who took home the 'bling' under Events, Convention 2010! Congrats New Alpha Psi Sisters! Congratulations to the 27 (or 28..) New Sisters of Alpha Psi on the University of Dayton's campus in Ohio! Welcome to the sisterhood! What exciting news! Keep it coming! We would like to Congratulate the new ladies of the Gamma Class who received their Bids for Theta Phi Alpha on January 27, 2010. They will be beginning their Pledge Process on February 4, 2010. We are so glad to have them as New Members and Pledge Sisters of our organization. With that we hope that they will successfully complete their Pledge Process while having a lot of fun as they learn more about Theta Phi Alpha and share our love for the sisterhood. We are so glad you chose Theta Phi Alpha!